Maybe you’re way past having new additions to the family, but many people know at least one person who is pregnant! If you want to help out in some way, you can of course opt for taking them a meal or even organizing a meal train through a service like Take them a Meal... which is AWESOME, so don’t let the following other ways deter you from that amazing gesture, but maybe you want to go a little further or you like to think outside the box. 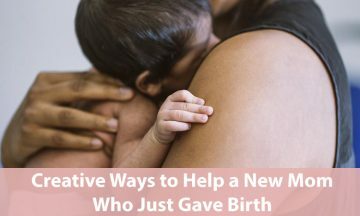 If so, we polled some mama friends and also looked at what other bloggers suggest to give you some creative ways to help a mom who just gave birth- whether it’s her first or her fifth! Maureen Witmer from Take Them a Meal had some great ideas in this post like bringing along some diapers, wipes, or pampering lotion and scrubs for Mom in addition to dinner! Not to mention, she will often buy them on sale to keep these things on hand when a need arises. Beth Williby from A Welcome Grace has some GREAT ideas in her blog post here: 7 WAYS TO PAMPER A NEW (BUT NOT FIRST-TIME) MOM. 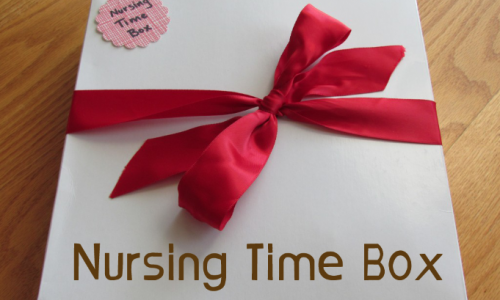 Most if it involves sweet time and kind words… something new moms need desperately! Suzi Whitford from startamomblog.com suggested to gift the new mom with an Amazon prime subscription or Instacart membership. “Both are around $100 per year, and it’s a life saver for a new mom who can’t leave the house easily. Grocery delivery is divine when you’re a new mom!” The SHIPT membership can also be an absolute life saver, too, according to the mom above, Sarah! So, what do you think? What are more ways you can help a new mom out? Thanks to everyone who helped pool together these ideas!